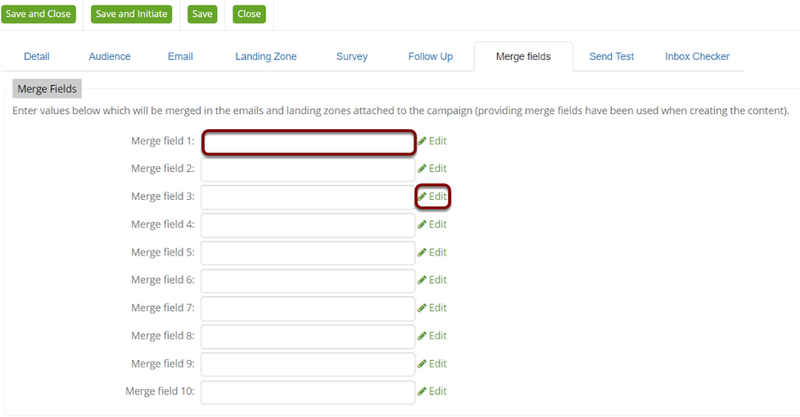 If you have used Merge Fields within your Email or Landing Zones, then this tab is where you specify the contents of the Merge Fields that will be displayed. You can type the Merge field data directly into the field, or click on the pencil icon to open up the HTML editor. The HTML editor is used for links or personalisation. Please Note: You are limited to ten merge fields per campaign. This is where you can design your merge field. You can customise it fully with this editor. To see how the Merge Field appears to your recipients, send yourself a test. This allows you to open the email and see the Merge Field content.